Although California may be the 3rd largest state regarding geographic size in the United States, their economy takes 1st place as the largest totaling to approximately 2.46 trillion dollars. This 2.46 trillion figure not only makes them the biggest economy within the U.S., but it also ranks this state as the 6th largest economy in the entire world. However, this is not California’s only contribution on a global scale. 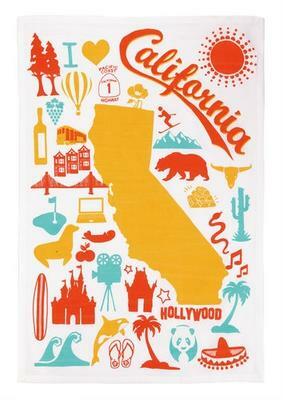 With their numerous esteemed ports, California is also regarded by many foreign countries as a noteworthy trading hub. In particular, California has historically shown a strong exporting and trade relationship with Italy. California is the largest exporting state within the U.S. regarding goods sent to Italy, totaling around two billion dollars in value in the year 2016. In fact, Italy represented 1.2% out of 88.7% of the top 25 countries California exports to in 2016. Initially, this percentage seems relatively small in comparison to the total. However, it places Italy as the 19th country receiving the largest amount of California’s internationally destined exports. The main export California delivers to Italy is chemicals, which accounts for approximately 29.8% of California exports to Italy. Other key industries of California goods to Italy include agricultural products, in addition to computer and electronic commodities. While exporting goods to Italy is an important part of the Californian economy, the imports received from this nation are also integral to California’s overall economic performance. In 2016 alone California imported approximately four billion dollars of Italian goods. The majority of these imports came from various industries including chemicals, transportation equipment, beverages and tobacco products, in addition to nonelectrical machinery. After New York and New Jersey, California is ranked third in regards to which U.S. state receives the most Italian imports. Many California consumers associate “Made in Italy” products with a high-quality image, offering several opportunities for Italian businesses within luxury industries in this state. In particular food products such as balsamic vinaigrette and olive oil can charge a price premium with “Made in Italy” branding featured upon them. However, in regards to their beverage market, the California wine generates $57.6 billion in annual economic activity for this state; therefore Italian wine products may experience a substantial amount of competition within this marketplace. In addition to the food and beverage industry, Italian craftsmanship is an industry that is highly regarded and expanding within California. Recently the Italian company Italy Bellissima and their architect Andrea Capellino have been noted as saying “California is ready to welcome Italian style. Americans love the craftsmanship and the handmade piece” speaking in regards to California’s perceptions concerning Italian design. Although imports and exports are crucial factors to analyzing California’s robust economy, tourism is another element that plays a critical role in this state’s economic performance. With destinations such as San Francisco and Los Angeles attracting tourists from all over the world, this industry has contributed to California’s attainment of the largest economy in the United States. Italy has played a role regarding the success California’s attains regarding their tourism. In 2016 there were approximately 177,000 Italian visitors to California; a figure that has been estimated to increase to 187,000 by the year 2021. This statistic shows the economic relationship between California and Italy extends beyond their imports and exports. It is evident that California and Italy have much more in common than their breathtaking landscapes and critically acclaimed vineyards. The value of the exports and imports between these two, in addition to the tourism industry, are compelling evidence of the important relationship existing between these two entities. Trade's agreement between US and Mexico: how will be the future? The recent United States presidential election left Mexico-U.S. relations a somewhat controversial topic. With NAFTA brought into question and the declaration that walls would soon be built to separate these two nations, the sour sentiment between these countries appears almost beyond help. However, with U.S. exports to Mexico totaling 229,701.7 million USD in 2016, an attempt to entirely end the existing economic relationship between these two countries would be complicated, to say the least. Despite such a high value of U.S. exports to Mexico, U.S. imports from Mexico was even greater totaling 294,055.9 million USD in 2016. This imbalance between exports and imports resulted in a trade deficit for the United States totaling 64,354.1 million USD for the year 2016. From this statistic alone it may initially appear the U.S. would, in fact, be better off without a trade agreement such as NAFTA. Such a negotiated deal encourages more trade with Mexico, perhaps enlarging this current deficit further. However, international trade agreements have many implications outside of exports and imports alone. One additional impact trade agreements have outside of trade itself is the association such arrangements have in regards to global cooperation. Economic stability tends to correspond with political stability; therefore when two nations’ economies are closely linked together the likelihood of these countries going to war significantly decreases. Additionally, members of trade agreements have economic relationships with other nations outside of the arrangement. Actions that affect the countries within the trade deal will ultimately have a ripple effect spilling over to other nations who share existing economic ties with those in the agreement. Taking this into consideration, it becomes easy to see how the U.S. withdrawing from the NAFTA agreement could lead to unintended effects on political relationships outside of just Mexico and Canada. In addition to global cooperation, another potential effect of trade agreements concerns global leadership. Top nations are frequently part of several trade agreements, which ensures they have a voice in various decisions affecting world trade. For example, with the recent talk of U.S. leaving the NAFTA agreement there have been whispers of a Chinese Mexico trade deal to take its place. Although it has not been made clear yet how serious these discussions are (Mexico’s economic secretary, Ildefonso Guajardo, will not visit China until this upcoming September) such a deal would shift society’s perceptions regarding global leadership. Finally, trade agreements can also have a bearing upon immigration. 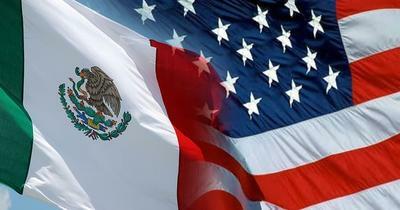 In the case of NAFTA, Mexico has experienced positive effects regarding its economy. This increasing wealth has decreased immigration of Mexican citizens to the United States. In fact, in a study conducting by Pew Research, the past decade of immigration statistics show immigration from Mexico has sharply declined. The majority (61%) of those who left cited family reunification as the main reason for their return as opposed to those who left due to deportation (14%). After reviewing evidence such as this, it would appear that helping Mexico maintain economic prosperity may be the best method in ensuring illegal immigration to the U.S. remains low, as opposed to other options such as building walls to separate these two nations. Trade agreements have several implications outside of their resulting import and export data. Global cooperation, world leadership, and immigration are just a few of the effects such arrangements may impact. Moreover, trade deals help facilitate global interconnectedness which is becoming essential for our increasingly globalized society. Deciding to turn to isolation policies as a means to combat excessively large trade deficits may work in the short term but will not be a successful way to create long term success for a nation or its consumers. Trade facilitates competition, promoting innovation and ultimately aiding in the creation of a better tomorrow.